I always love to travel with a good book or two. 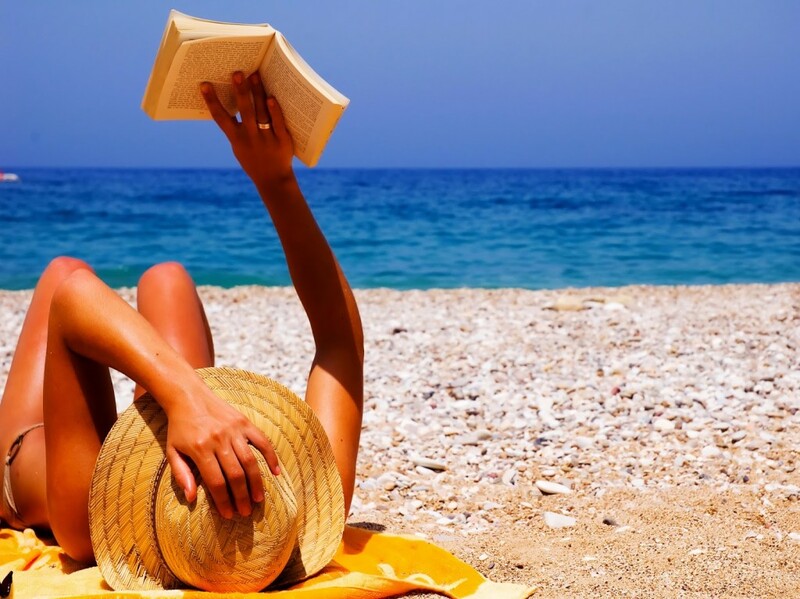 It’s great to have something to read whether you are passing the time in an airport or relaxing on the beach. As part of my 24 for 24, I set out to read 24 books this year. I’m a little behind, having read only 12 in 8 months, but lucky for me I have yet another beach weekend coming up and plan to hunker down with a few new reads. As a frequent traveler, my Kindle has become a godsend, allowing me to carry as many novels with me without the worry about weight or space in my luggage. I never got through the series as a child and boy did I miss out. The only reason I don’t feel bad about not finishing the books earlier is that I got to read them now! Just as much fun to read as an adult as they were to hear in class read aloud as a kid. I read this book during my first beach trip of the year to Santa Rosa, Florida in the spring. Still a bit windy and too cold for the water, but the perfect weather for laying in the sand and devouring this chick flick of a book. This novel is the sequel to Something Borrowed but I’d already seen the movie. That counts right? After reading so many raving reviews about this book and seeing it on the barre3 book club reading list I had to give it a try. It is sweet coming from the voice of a child, yet brings up a lot of big questions about human behavior and emotion. This story contains plenty of tear-jerking and heart-warming moments. I struggled to get into this one and was a bit shocked by the ending. The main plot surrounding Esme Lennox’s disappearance is pretty interesting though. You’ll especially appreciate it if you love a good bit of gossip. Found the movie on Amazon prime then had to read to the book. The fantasy world sounded a bit cheesy but somehow came together nicely in the story. I needed both the book and the movie to fully understand the nuances of this mystical world. I really enjoyed the scenes Morgenstern laid out in this novel. I still wish I could go back in time and experience this circus in life because it sounded so amazing in the book. Plus there’s a love story. After a good friend recommended this book to me, I decided to give it a try. Let’s just say I ended up crying in a mixed dorm in Thailand and may have freaked a few people out. That aside, I loved the book and it wasn’t all sad. I will now be following said friend’s advice and reading every other book every written by Jojo Moyes. I read nearly the entire book in one sitting when I took a day off from the sights in Cambodia. If you haven’t read this, where have you been? Living under a rock? Get on it. Now I just need to get to a movie theater to see this on the big screen stat. If you like mystery, crime, drama and romance then this man’s your jam. Devoured this book in Laos when I was missing my daily fix of Criminal Minds and NCIS. Watched this on the luxurious flight home from Thailand then had to read the book on vacation in OBX. A good friend once told me that when a book is made into a movie, you have to see the movie first. What? Everyone else always reads the book, then goes to the movie, then goes home and complains about how much better the book was. Ohh.. she had a point. If you watch the movie first you go in with no expectations to ruin the experience and then when you read the book, the story gets even better! You get to experience it all over again in more detail. Okay, I’m embarrassed to admit it, but I read this one. I guess my curiosity (yeah the same one that killed the cat) got the best of me. The only way I can describe this experience is to say it was like reading a year’s worth of Cosmo magazines – incredibly juicy, shocking at times and then after a while you realize you’ve been rereading the same stories, over and over again, in slight variation. What’s you’re favorite read of the year? I’ve still got 12 books to go so give me your best book recs in the comments below! Prefer to get in touch over twitter? Tweet me your favorite reads. Looking for the perfect place to escape for the weekend? Try Middle River where you can read on the docks or on the deck of a sail boat.